Maybe it's time to clear that coat of dust off the IT department's checkbook. It seems like the better part of a decade that we've been hearing the same complaints: The C-Suite wanted IT to innovate and secure the company's data, while IT was stuck with flat or declining budgets that were eaten up by maintenance more often than forward-looking technologies. Finally, there seems to be good news on the budget front, according to a survey by infrastructure tools provider Spiceworks, released this morning. There is real budget growth in the works. In fact, 89% of more than 700 IT buyers in the US and Europe reported that they expect their budgets to grow or remain stable in 2019. More significant is the data showing that 56% of large companies (5,000 employees or more) are projecting IT budget growth. Only 6% of all companies -- mostly smaller organizations -- are predicting reduced budgets. For too long now, CEOs and boards of directors haven't put their money where their mouths are. Oh, they talked a good game when it came to technology, claiming that they wanted their organizations to be "data driven," "secure," "innovative," and "customer centric." Their mandates fell on the CIO and the IT team, but such mandates often weren't backed by cash, the money needed to upgrade or replace systems. The corporate mindset seemed to be, "You can save money if you just move things to the cloud." True, cloud migrations can bring savings, but they aren't a cure-all. Three key themes underlie the fresh budget figures: better revenue performance, the need to upgrade IT infrastructue, and security/regulations. Companies with more than 1,000 employees are most likely to see growth in company revenue, and some of that is being invested in infrastructure. 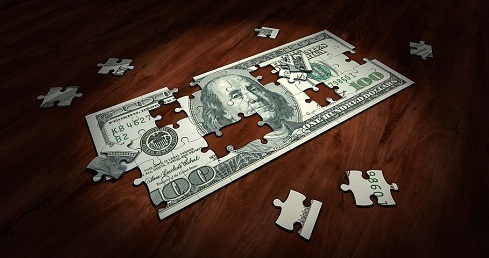 "What are the driving forces causing companies to build up their IT spending? Most companies (64%) are ramping budgets so they can upgrade outdated IT infrastructure, but the need to shore up aging hardware varies by industry and company size," said the Spiceworks report. "For example, 82% of government organizations across North America and Europe said they’re expanding IT budgets due to outdated IT infrastructure, which is significantly higher than in any other industry. This makes sense considering some government organizations, such as the National Health Service in the UK, pledged millions to improve and protect their infrastructure following cybersecurity attacks like WannaCry." Hardware spending is expected to be down to 35% across all company sizes, but only 26% in big companies. (That includes desktop, networking, climate, and mobile hardware, not just data center equipment). 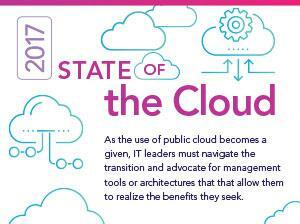 Large companies expect to spend 46% of their IT budgets on managed services and cloud/hosted services. The report concluded, "When it comes to the budgetary bank, 2019 will see business revenues rise. IT budgets will also increase or stay steady, with large enterprises seeing the biggest boost. As companies bulldoze outdated technology, they’re also safeguarding their infrastructure by investing more in a fundamental cornerstone: security."